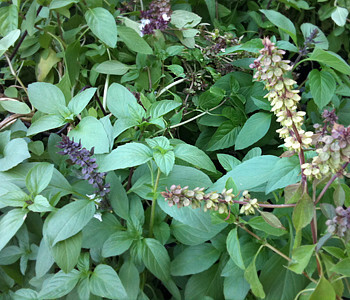 Looking for pho at a Fall Festival this year? 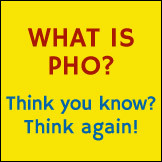 You might find just that with current popularity of pho. 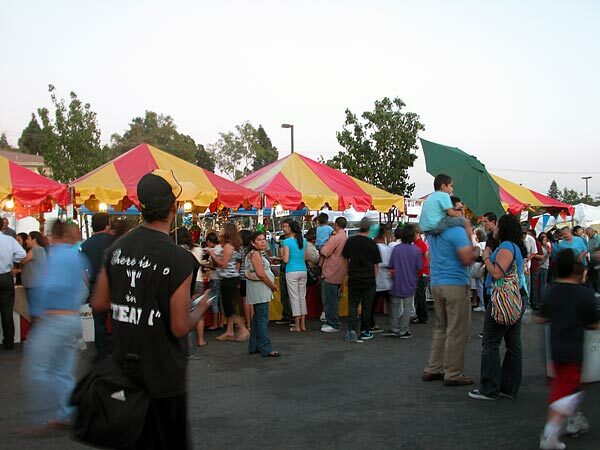 In fact I found some great pho at the St. Barbara Parish Fall Festival in Santa Ana this past Saturday Sept. 26, 2009. 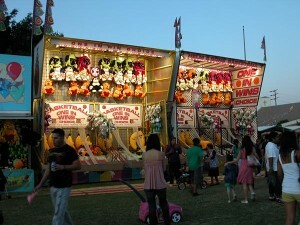 There were carnival rides and games, international foods, and live entertainment, plus a raffle grand prize of $10,000. 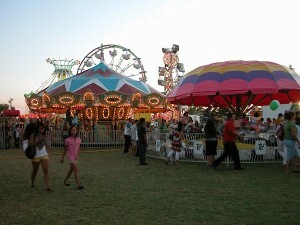 The festival ground was crowded with the young and old of various ethnicities. Not surprisingly, this is the heart of Little Saigon in Orange County CA, so the festival goers were predominantly Viet. 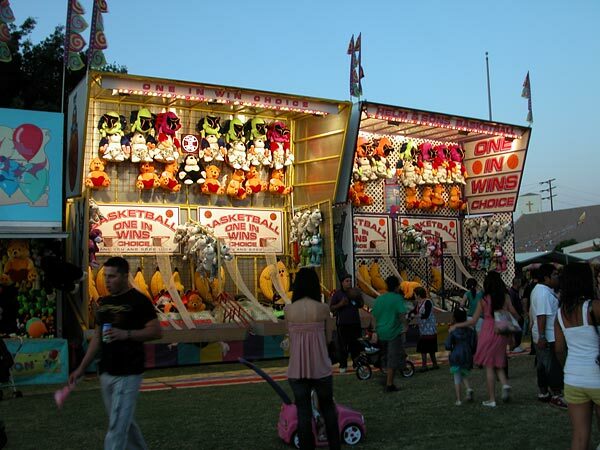 The festival itself actually spanned from Friday Sept 25 to Sunday evening of Sept. 27. Vendors volunteered their time, products and services as charity to the church, so it's all for a good cause. 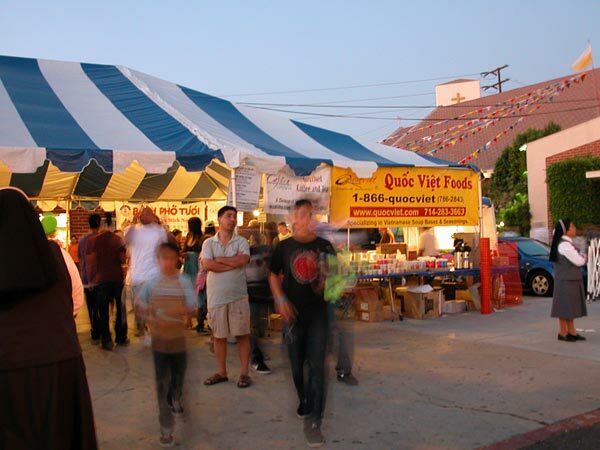 The Quoc Viet Foods® folks also set up shop inside the main tent, serving three kinds of noodles (pho bo, pho ga and bun bo Hue,) together with their branded coffee Cafvina. 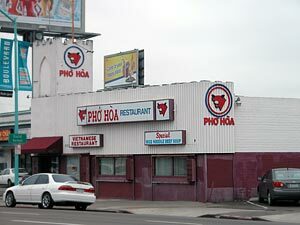 Behind the serving counters, they had 6 large 40-gallon vats brewing pho and bun bo Hue broths all day. 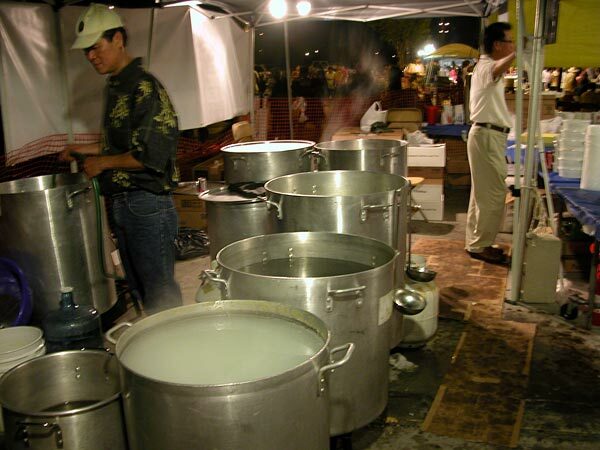 To one side is a separate, smaller pot of boiling water for blanching pho noodle (banh pho.) Both the operation and the service were efficient, as Quoc Viet Foods® has been participating at events like this for many years. 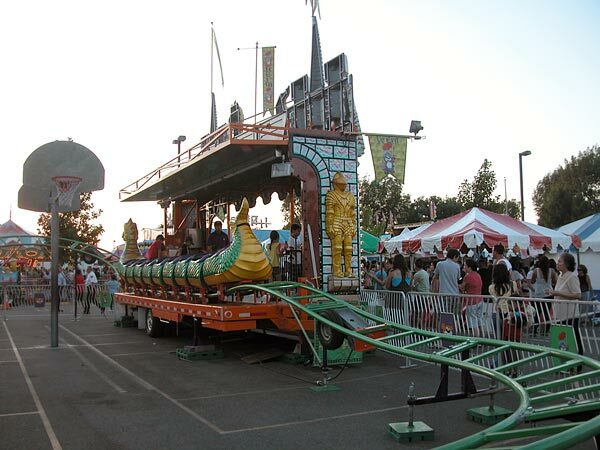 So Vietnamese pho at a Fall Festival? 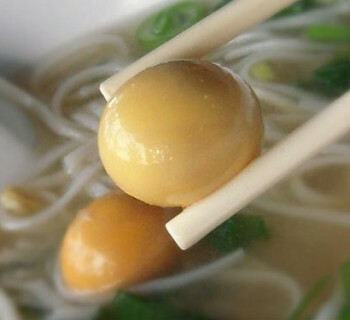 Depending on what festival you go to, you can find both the traditional and unconventional kinds of food nowadays. It may be unheard of a few years back, but with the popularity of pho raging in many places in North America, pho just may become the next big festival food. It's even cooler when you have all proceeds going to support a local church. Check out a short video showing pho action at the St. Barbara Parish Fall Festival. Enjoy.